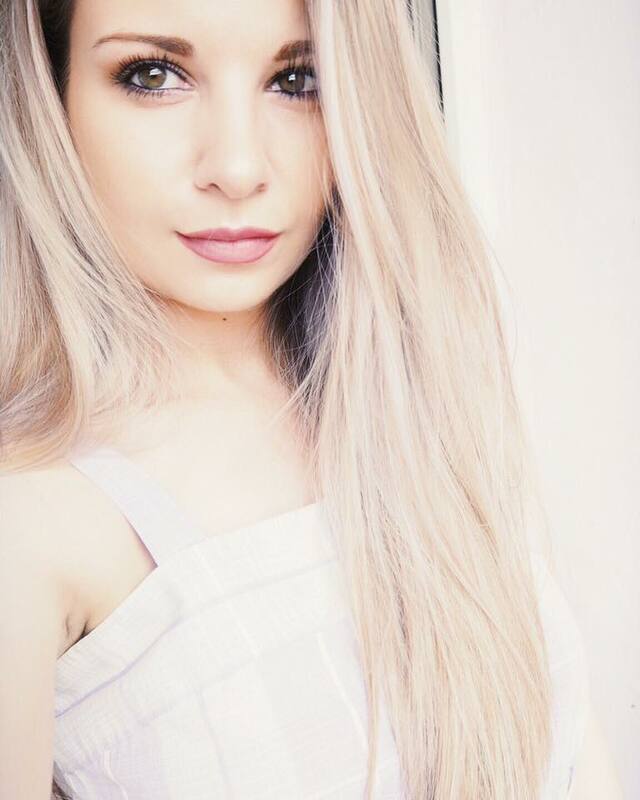 Hello my lovelies! How is everything going? I hope you all are doing great and are enjoying the summer and your holidays! I actually cannot believe that today is the last day of the month of June; where on Earth did the time go! I feel as if I just skipped the whole month and I transported myself directly to July haha! I am by no means complaining though because on July 12th is my birthday, which I am really excited about ,so everything is fine! :) For today’s I Heart Summer series I wanted to do my June Favorites. I actually don’t have many makeup favorites because I actually wore very minimal makeup for the past month but I still have a few! :) Hope you enjoy! Moving on to makeup, the one product that I wore every day on my face was this Chocolate SoleilBronzer from Too Faced. I absolutely love using it both for contouring and just in cases when I want to give a little bit of color and warmth to my face. The bronzer is not in the slightest muddy or orange and looks really natural on my skin, which is extremely important for me. It doesn’t have any shimmer or glitter in it and it’s completely matte, which if you ask me is the way to go during the day. I love Chocolate Soleil’s formula because it is perfectly pigmented and really easy to work with. Another thing I am crazy about this bronzer is the lovely cocoa scent, I kid you not – it smells like chocolate and it is super delicious! :) If you want to see my full review on this product you can do so here . If you’ve been reading my blog for a while then it won’t surprise you that for nail polish I have been loving Essie Cute as a Button. I swear, I haven’t been wearing anything else on my nail than this cute shade during June. I just love it SO much and it is without a doubt my favorite summer shade, I don’t even know what was I doing before Cute as a Button came into my life haha! It is this fab pinkish orange-y coral, which basically sums up the summer for me! I absolutely adore how bright and vibrant this nail polish is and just looking it on my nails at the moment makes me dream of the beach! 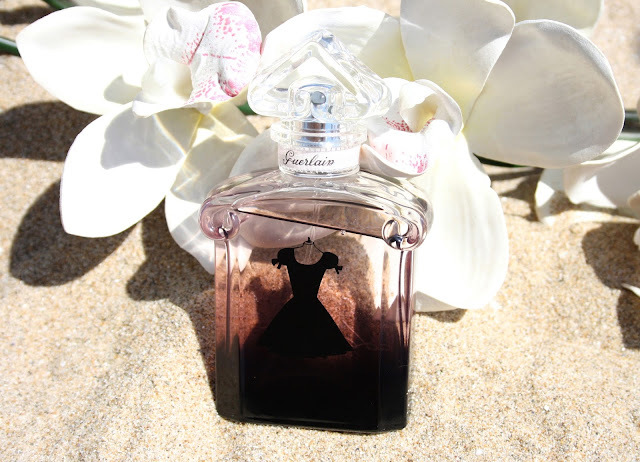 I have been hearing so much about that specific Guerlain perfume lately! I guess I must go give it a sniff now! Do you live right next o the beach?? Love all your pictures! Guerlain is definitely my next perfume purchase! I love the MAC paintpots !!! just got another one yesterday ! they are soo lovely ! I really do hope you do a review on the Leg tanner, I've been seeing it for years but have yet to try it. I want to know if it transfers and wear time, and how it deals with sweat. Great products and reviews as always my dear, super helpful as always! <333 Really loved this, thanks lovely! i bought airbrush legs after your review and can't stop using it! Thank you so much! I was going to buy the airbrush legs, but then I wasn't too sure, so I ended up not buying it. After reading this, I think I will definitely buy it now! I think the Airbrushed Legs would be a great product to try out! My legs are the palest part of my body too! I definitely want to pick up Sari Pink! It looks absolutely stunning! Lovely products, I love the nail varnish! Gorgeous colour of Essie polish! The Dior lipgloss is sooo pretty. Need to try the body shop body butter, sounds fab!!! I've wanted to try that Airbrush Legs for so long. 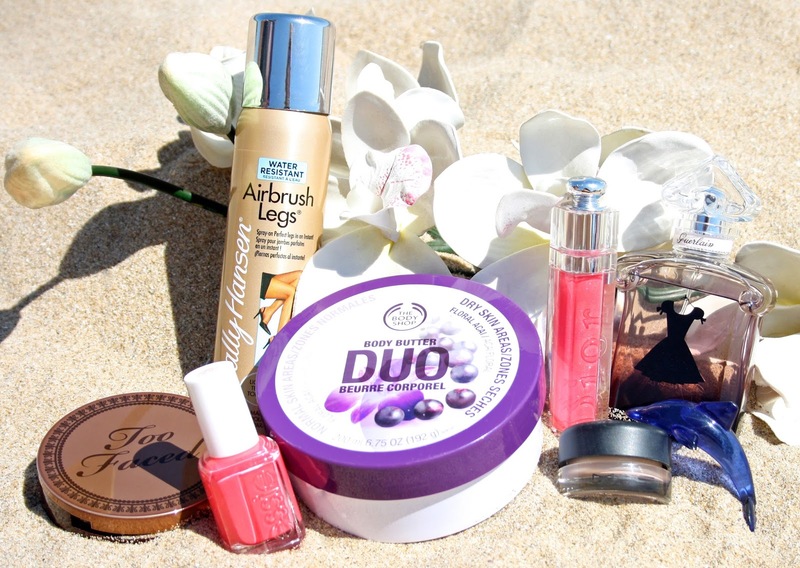 Great picks, would love the try the Dior gloss and the Bodyshop body butter. Cute as a Button from Essie is one of my all-time faves! :) Woo! I've been interested in the leg tanning spray but I was just wondering if it goes everywhere when you spray, and also if it makes my legs too tanned then it looks completely different colour from the rest of my body as I'm quite pale too. In Japan self-tanning is not so familiar so I don't have the guts to try it :P But by reading your review, I've got really good impression about this product! 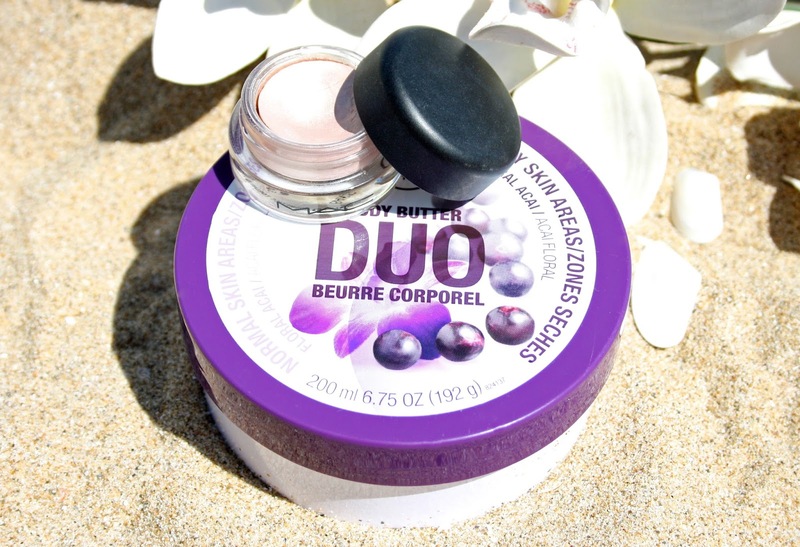 I'm a massive fan of the Body Shop Body Butter Duo and Bare Study Paint Pot too!! I use the paint pot every day as an eyeshadow base as well as using it by itself. I keep seeing Essie Cute As A Button popping up all over the place and now I really want it because it's such a pretty shade. I'm literally about to leave my house right and head to the MAC counter... I'm buying a couple lipsticks and Bare Study! Great pictures by the way! I work for the body shop and those body butter duo's are amazing! Followed you on Bloglovin dear. Essie Cute as a button is my very favourite shade! :) Love it. Thanks for sharing your June favourites. The Essie polish looks amazing!! 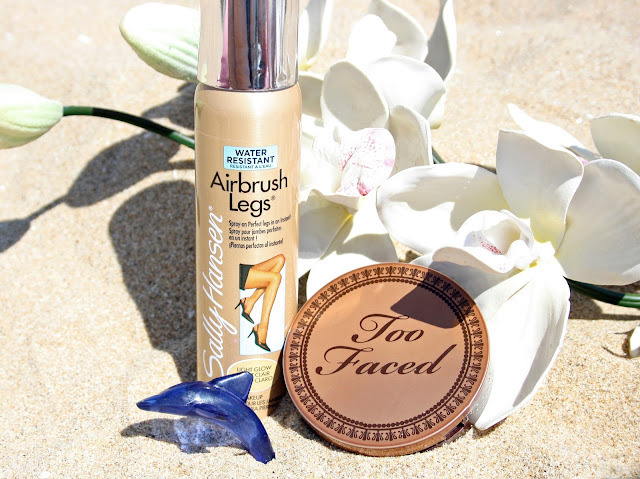 I love the idea of airbrushed legs but I've never seen this product anywhere in the UK! I'm really pale too and absolutely hate getting them out in the summer. The Essie nail varnish is such an amazing colour! Outbound Rafting Bandung adalah perusahaan yang berdomisili di Bandung dan bergerak dibidang pelatihan sumber daya manusia terutama di alam terbuka dengan menggunakan alam sebagai medianya serta kami juga Penyedia Jasa/Provider Outbound, untuk kegiatan – kegiatan yang sifatnya menantang dan petualangan ( Adventure ) seperti : Highrope ( Spider Web, Two Line Bridge, Hanging Bridge, Flying Fox ), Paket Rafting Bandung ( Palayangan Pangalengan, Cikandang Garut, Citarik Sukabumi), Amazing Race, Paintball, Airsoft Gun, Fun Off Road, ATV, Paralayang, Joyflight With Trike Tandem.